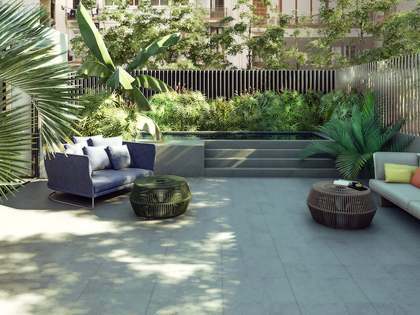 Once-in-a-lifetime chance to renovate a 2-bedroom apartment in a listed building next to La Pedrera, in a highly coveted location on Passeig de Gracia. Renovation project and licence available. 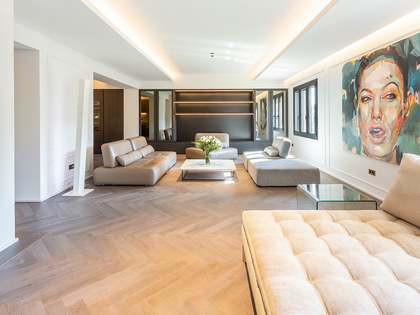 This spectacular 164 m² property is found on the first floor of an impressive 1920's building on Passeig de Gracia, just one block from La Pedrera and surrounded by the city's finest shops and restaurants. This incredible city residence is presented in good condition with a grand entrance hall that provides access to the day area which consists of a large living room and dining room with a stone balcony overlooking Passeig de Gracia and a kitchen with a utility area In the night area we find 2 en-suite double bedrooms, one of which enjoys access to a spacious dressing room. The property is being sold with the licence and an exclusive renovation project by a reputable architect to offer stunning luxury interiors, well planned lighting, electric shutters, high-end appliances, natural herringbone parquet and marble flooring, room-specific heating and air conditioning systems. The photos show how the property would look once renovated. 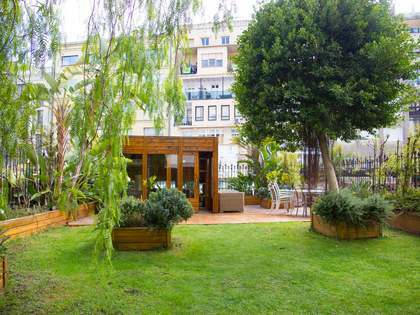 An exceptional property in the very best location possible in Barcelona City. 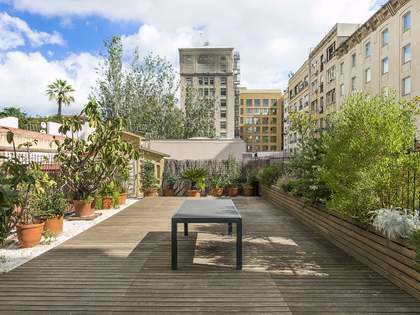 This property is located on the first floor of a building on Passeig de Gracia, one block away from La Pedrera and surrounded by the best shops, restaurants and monuments in Barcelona with plenty of public transport nearby.